Greece is one of the most popular tourist destinations in southern Europe. This Mediterranean country is mostly known for its islands and beaches, but unfortunately few visitors venture further into the Greek mainland. A road trip around Greece is a fantastic alternative to the typical Greek island holiday, and is also a great opportunity to discover a more authentic side of the country. 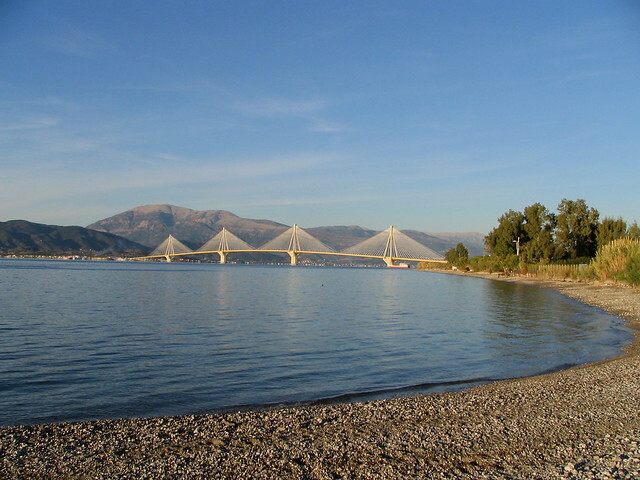 Below you will find some hand-picked itineraries that can help visitors plan their next road adventure around Greece. The coastline east of Athens makes for a great introduction to the country. Less than 10 miles south of Athens airport is Vouliagmeni, a quiet seaside resort overlooking a lake, located in the heart of what has been called the “Athenian Riviera”. Further east is Cape Sounio, a must-see in any trip to Greece, especially if you go at sunrise or sunset. Continuing along road 47 you will reach the harbour town of Lavrio, which is an excellent place to stop for lunch. Drive on to picturesque Turkolimano, from where you can return to Athens via Keratea or continue exploring the small towns along the east coast. This itinerary is ideal for travellers who fly into Athens International airport, where several car hire options are available. Vehicle rental companies like Alamo give visitors more freedom and flexibility as they offer pick ups and drop offs at different locations. Visiting Meteora is like stepping into a different world. The oddly-shaped rock formations rise 1,800 feet over the plains of central Greece, and are home to 14th century Orthodox monasteries, which are perched on the top of the pinnacles and that are still a centre of religious activity. To drive to Meteora, you will need to follow the route Athens-Lamia-Trikala-Kalambaka. This can be done in under 4 hours. Driving east from Trikala you will reach highway 1, which goes all the way to the Macedonian border. The road follows the northeastern coast of Greece, which is dotted with interesting sights, like the medieval village of Litohoro or the walled town of Methoni. Further north is Thessaloniki, a pleasant city with wide boulevards facing the seafront and the gateway to the spectacular Halkidiki peninsula. Allow at least five days for this road trip. The Peloponnese is home to many important archaeological sites, like Olympia and Mycenes, but the attractions do not end there. It's worth driving south to the villages of Nafplio, Gythion, and Monemvassia, which boast impressive medieval castles and fortresses and excellent gastronomy. A road trip through the Mani peninsula would be the perfect way of ending a holiday in Greece, as the area is rich in natural beauty and cultural heritage.